There is a bias in journalism. Not against any particular party or point of view – it is a bias against understanding. Sound familiar? It is from John Birt’s seminal article in The Times in 1975. He was talking about television’s ‘mission to explain’. I would argue that journalism today is working hard on explaining, but what it really needs to rediscover is the mission to understand. News technology in the 70s – biased against understanding? Birt identified three kinds of journalism and its limitations. News chased after the events of the day, often leaving the viewer ‘confused and uneasy’. Features honed in one topic in isolation, for example, looking at homelessness without considering the wider housing shortage. While ‘issues journalism’ tended towards argumentative exchanges, substituting a heated panel discussion, for example, for thorough, informed deliberation. Today those categories are still applicable although each has changed in positive and negative ways. News is faster than ever with an abundance of sources instantly relaying images, facts and data about events. Features are often better informed and detailed thanks to better research and data journalism, but even long-form or ‘deep dive’ content is rarely put in a broader context. Issues journalism is more popular than every with ‘hot takes’, partisan commentary and heated argument proving especially effective at driving traffic and attention on social media. Back in the 70s Birt argued for more contextual, analytical journalism made by more intelligent journalists with the greater input of experts. His policy response as Director General of the BBC was to create a combined ‘News and Current Affairs’ department led by outstanding specialist journalists. In the face of the current crisis of confidence in journalism do we need another similarly strategic shift? I was a beneficiary of Birtism. 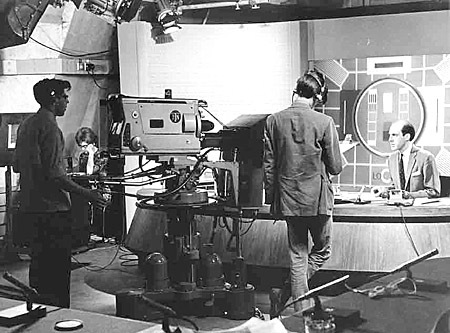 I got my first job in national media as a researcher on a little-remembered BBC social affairs show called Public Eye. I recall the editor saying that he thought my experience on the South London Press and LWT’s London Programme would give this very Birtist programme ‘the view from the gutter’. Not entirely flattering, but it showed they wanted the whole picture, I guess. Journalism today is failing to do just that. I would argue that since then that all types of ‘serious’ news media in the UK and in many other countries have got much better. Journalists are more ‘educated’ and informed. Thanks to digital technologies they have extraordinary new tools to gather information and opinion and to create more sophisticated and substantial stories – or ‘content’ as we now call it. The audience now has potential access to more sources of ‘good’ journalism than ever before, all just a click, swipe or switch away. So why is there so much ‘fake’ and hyper partisan news? Why did MSM fail to understand the forces behind Trump, Brexit, Corbyn, and even Grenfell? Why are most people still consuming ‘bad’ journalism? Why is there so much anger and distrust of mainstream news media? Why are there so many new books about our ‘post-truth’ world? 21st century journalism: still biased against understanding? It could be that journalism is not entirely to blame. Much of this feels like a liberal moral panic. The failure of the New York Times to report on rust-belt America is not why Donald Trump was elected instead of Hillary Clinton. The inability of UK journalists to kill off the £350 million Leave claim was not why the British people voted to exit the EU. Jeremy Corbyn has been relatively successful despite, not because of the newspapers. Perhaps journalism is not as powerful as it might like to think. But it still matters. I am biased. I am a former journalist who is now paid to think about the news media as a hugely important industry in a world where information is a vital part of our modern lives: like money, water or electricity. Media is increasingly influential in our fast-moving, complex societies. So better journalism will help improve society, but only if the news media understands its role and the world around it more deeply and thoughtfully. At the moment there is a paradox. The news media is more connected than ever, but it struggles to connect to the public. This is partly a business problem. Falling newspaper sales are just one symptom of a decline in the accepted place of journalism. The appetite for information, analysis and debate has not diminished. In fact, it is soaring. This is driven partly by people’s enjoyment of the increased interactivity and personalisation on offer. Humans are very curious and we love to converse. Yet, getting people to value the product enough to pay for it or to support it through taxes is hard in a world of vastly increased choice and immensely greater opportunities for other media distractions. In the end, though, this is not just a market problem. Journalism first has to convince the public that it is relevant and useful. It must make the case that it knows what is really going on. Only then has it got the right to present the bill. So at this point we are back to Birt and understanding. What’s gone wrong? Or rather, what more can journalism do? There are many practical reasons why the news is struggling to connect properly. It is partly about the structures it finds itself working within. How can people judge what is credible news when it pops up in their Facebook feed alongside everything from family photos to kitten videos? Why go to the news media when the politicians come direct to us? But journalism itself has some endemic problems. The most obvious to anyone working in a newsroom is economic. With diminishing resources and an insatiable desire for output around the clock how can journalists find the time to ask the extra question or research another source? But a lot of this is cultural. Metropolitan journalists are in a bubble – demographically and intellectually. Elite journalists, especially, are increasingly drawn from a highly talented but very narrow range. Oxbridge PPE, journalism school and internships is the classic pathway that inevitably favours those from a relatively privileged homogenous background. They then confirm their biases on Twitter. Social media might have made journalism more open and accountable, but largely to each other, not to the wider world. The journalism produced is still very self-referential. The agenda of mainstream media is largely set in newsrooms looking at what other newsrooms are saying. This is changing in good and bad ways. News organisations have much better audience data that helps them understand what their consumers appreciate. There is a huge amount of innovation out there with news brands moving onto new platforms such as Instagram or Whatsapp to reach out to where the public are having their conversations and getting their information. But even when it is done well the primary motive for this engagement is short-term commercialism. Connect the user to your content in the hope they stick around long enough to sign up for a subscription. At its worst it descends to varieties of clickbait that churn out easy hits to garner ‘likes’. Much more effort needs to go into listening better and to foster greater creativity and imagination about what is then produced. We can also blame the public. There is still a strong demand for facts and balanced analysis. 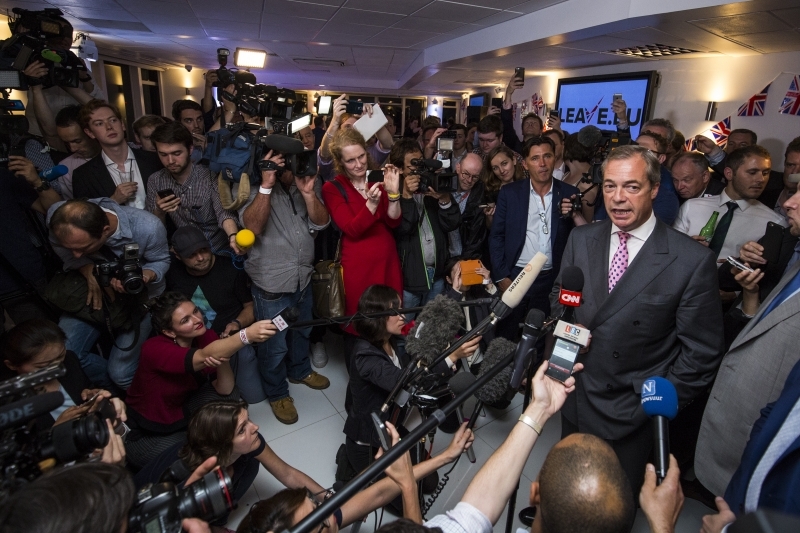 When faced with tough decisions or disturbing events people turn to news organisations such as the BBC who strain for objectivity and impartiality. But we are in a world where people tend to ‘trust’ the journalism that aligns with their views. Increasingly, identity politics and personal feelings are driving people towards news that reflects their perspectives. The problem here might not be so much the idea of ‘filter bubbles’ or ‘echo chambers’ as a force for fragmentation and the lust for a quick hit of moral indignation or reassurance. Surely it’s got to be healthy for us to hear different opinions and experiences to our own? The bigger problem may be that this shift to subjectivity is also a move away from understanding. It may not matter if you are in your own community, but it should concern us if you do not understand anyone else’s. So what is to be done? We have more information and good intelligence, along with a lot of rubbish. Sorting out the difference and signalling the credible material to the public is the primary task of journalism in our media abundant lives. Birt’s idea was that journalism should be more evidence-based, analytically rigorous and expert. That is definitely a Good Thing. More of that please. Less ungrounded commentary, speculation and assertion would be great. But journalism must go further. The world – or at least the world we see through media – appears to be more unstable and ideologically fragmented. Values, emotions and identity are driving politics and affective politics is driving so much other policy and practice in fields from health to sports. This is not just about media. It is how people live their real lives. Journalists have to go with this flow of postmodern human nature. They need to be more expert but they also need to be more ’empathetic’. They need to understand the ‘other’ lives better. That means getting out of the office physically and digitally, but it also means leaving the herd. Back in the 70s and 80s Birt was right to see that TV journalism needed to restructure itself. Not just organisationally but culturally. 40 years on and journalism is going through a profound disruption again in the face of technological transformations. It must not abandon all of its traditional virtues and craft. But the reinvention must be more than technical. The news media must rediscover its interest in understanding the human.